I mean a card to share with you! I just can't get enough of these little guys! They're so cute! Meet Gnome Computer from La Pashe! I totally love this little dude & knew exactly whom I wanted to make this card for! 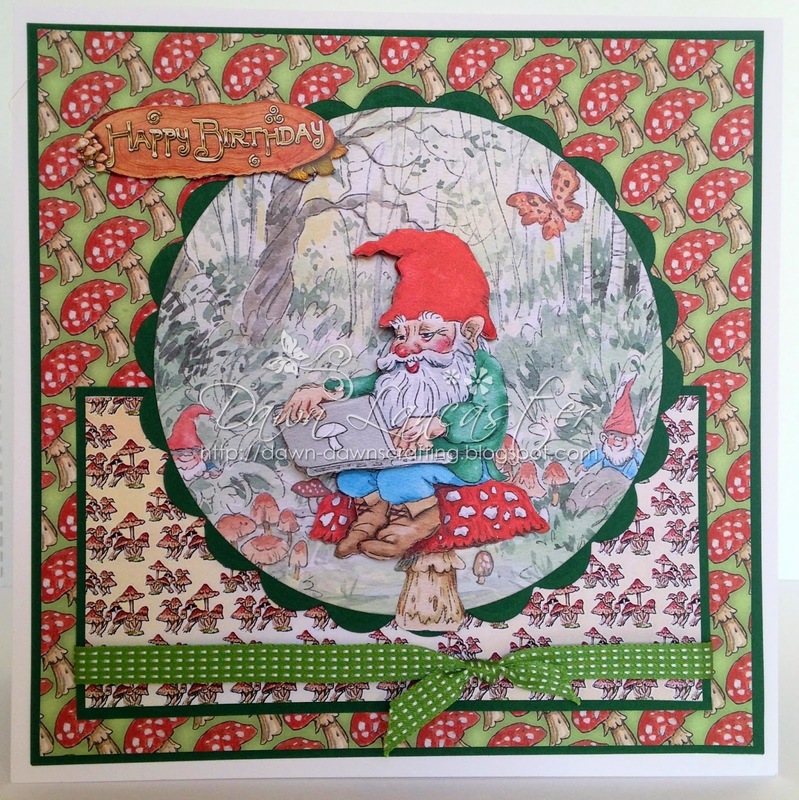 on the Gnomes & Fairies CD, as a decoupage sheet & as a Flippin' sheet. The DP's are from the CD too! they are not just limited to match up with the images. then matted & layered on to an 8x8in card blank. As you can just about see here, I decorated the inside of the card too! pop over to visit you! 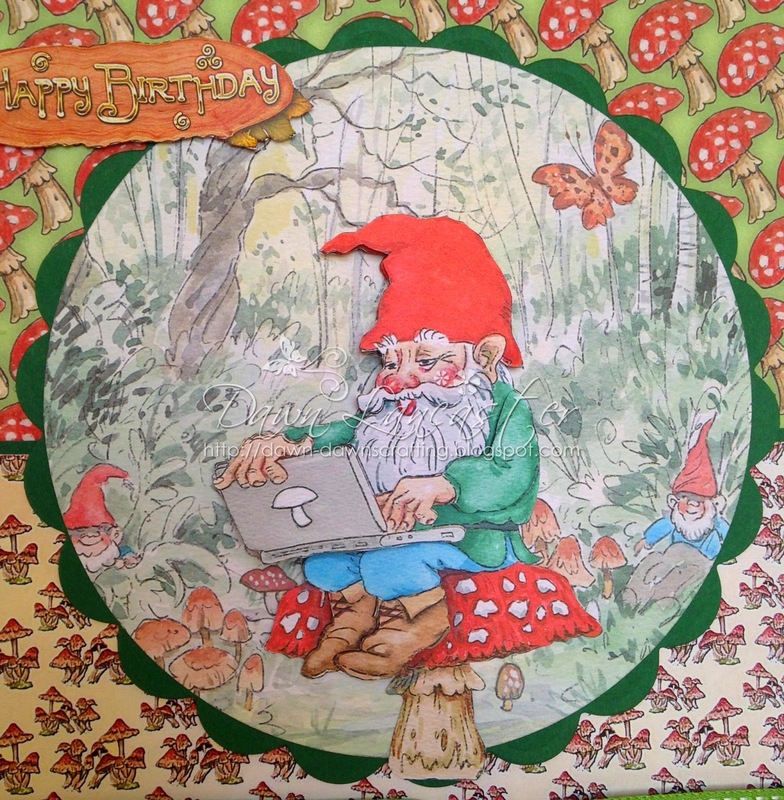 Oh my Dawn, hubby loves this card, had to show him as he loves gnomes! I have a garden full of them. A fabulous card. A wonderful card Dawn, there are some fabulous images on this CD - great papers and design. Lovely little chap, i can see why you like this CD , great card. Such a happy card Dawn, loving the cute little gnome. Thanks for visiting my blog and leaving some love. 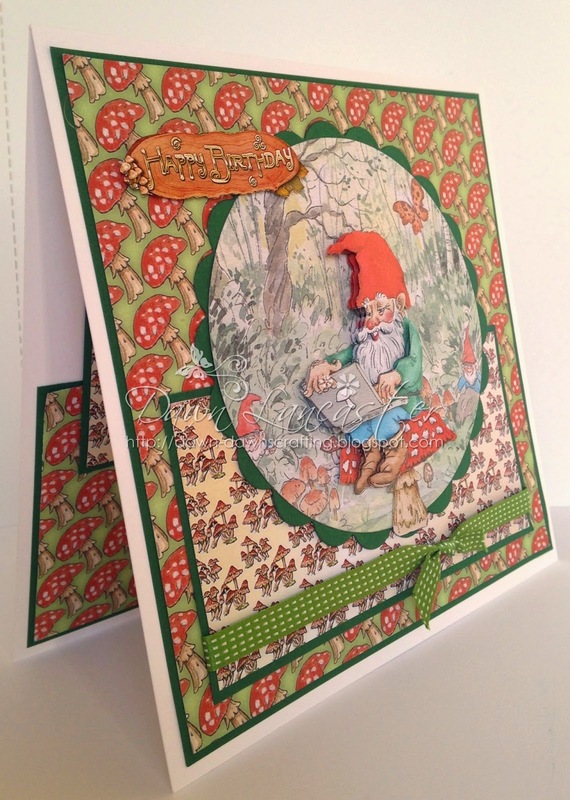 Love that cute little gnome - great colouring and backing papers, fabulous card! Ahh, what a cute gnome! Love your card! Dawn this is simply fantastic! I truly love the papers and the image is fantastic. I love a little gnomes lap top. It is simply perfect. Thank you so much for sharing your wonderful and humorous creation with us over at 4 Crafty Chicks!! What a super adorable card!! Love the pretty background papers and the cute image you used!! Thanks for joining us at “Simply Create Too”, hope to see you next time again. What a great card, love the gnome image. Thanks for sharing this with us at CD Sunday this time. Lovely card Dawn. Love the image and papers. Dawn when is your bday...do you like to exchange birthday card with me? Hi Dawn. I thought I had commented but apparently not. Age!! Another great card which jogged me into getting my CD out and making some ATC's. Thanks for joining us again. Lovely card with a fun image. Pretty papers too. So cute! Love the background papers. Thanks for sharing at Crafty Gals Corner. I love this CD and just wish I had a bit more time to use it. Love what you have done with this little chap. Thank you for sharing with us.